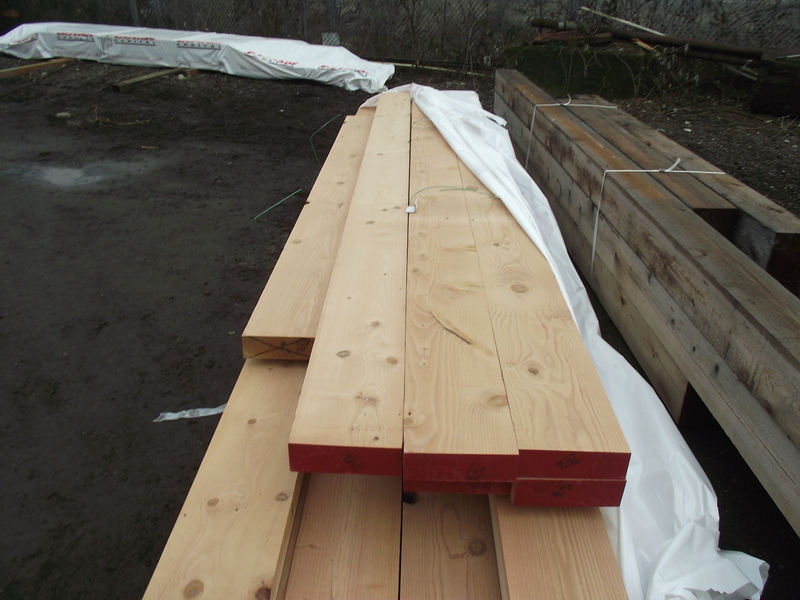 FirePRO® brand fire retardant treated wood (FRTW) is lumber and plywood pressure impregnated with FirePRO Interior Type A High Temperature (HT) fire retardant chemicals. FirePRO® brand fire retardant is a patented formulation based on proprietary Osmose technology. It has been a great summer right on the heels of one of the best spring stretches of weather in recent memory. We should get another few weeks of this treat but winter IS on its way. 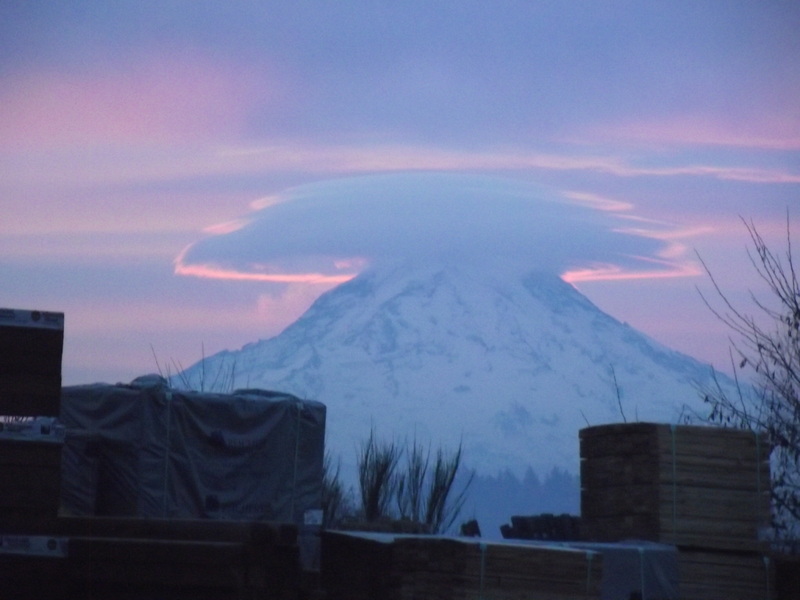 Time to start thinking about rain, clouds, sleet and snow. Cold winter high pressure systems, weeks of blue skies and freezing temperatures. It’s that firelog time of the year. Mill Out Lumber is the place to get yours. 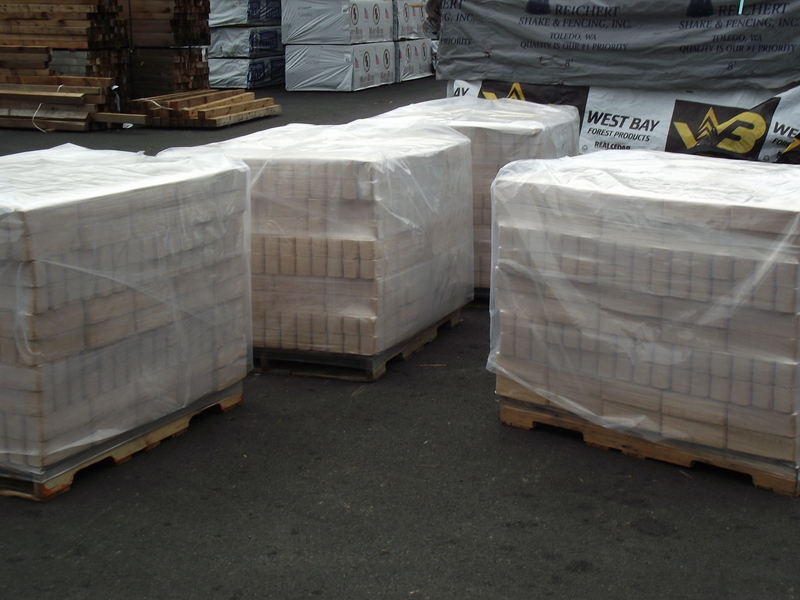 Full Tons of 696 bricks are $260.00 each and convenient boxes of 8 are $5.50 a piece including a couple of wax soaked fire lighters. 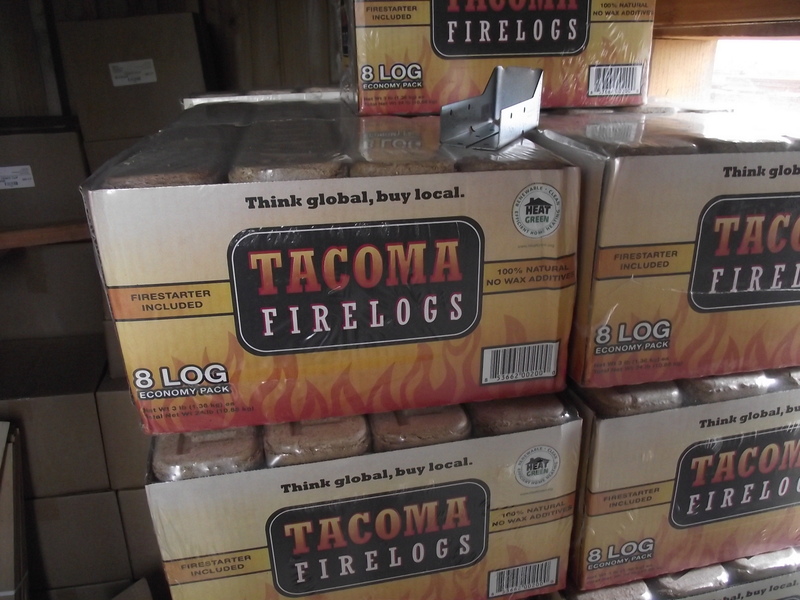 Tacoma firelogs contain no waxes or binders and are held together entirely by high pressure. 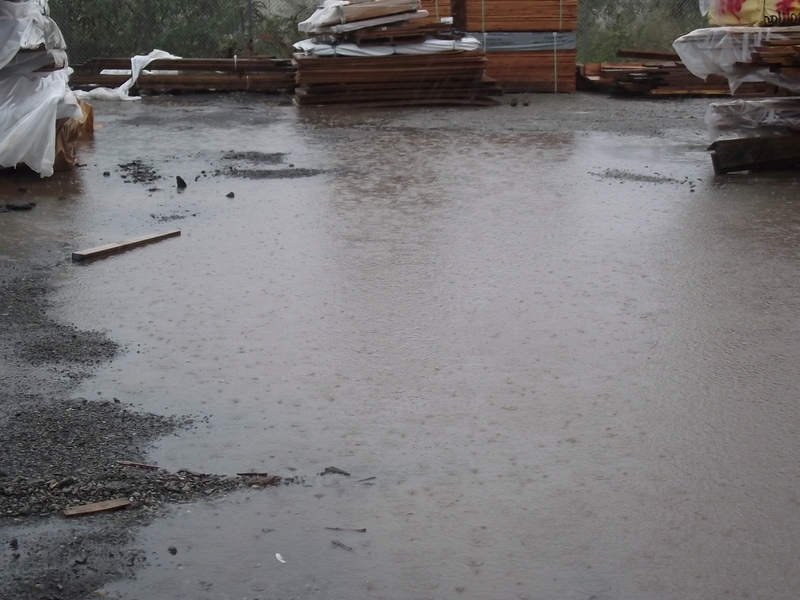 At 3 pounds each they are just under 52 # per cubic foot which is denser than Madrone or Red Oak. 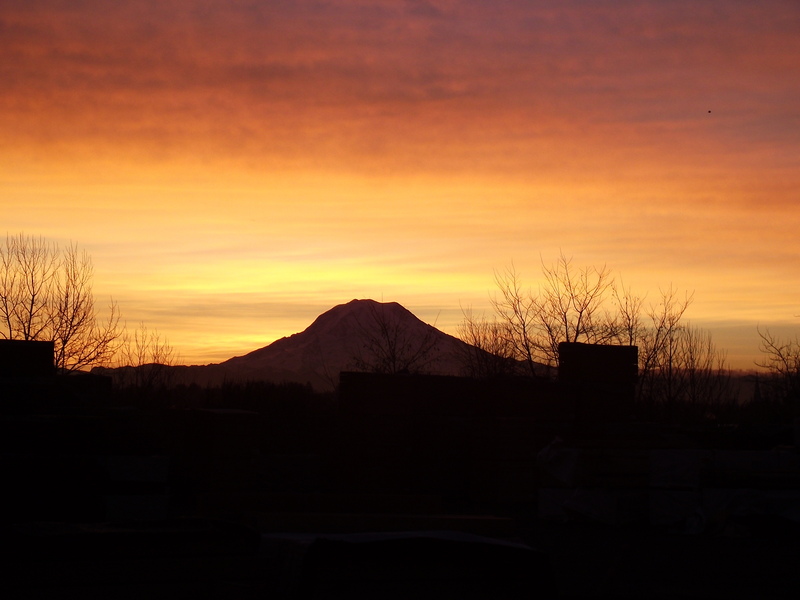 They are made in Tacoma so you will not be helping to pay for trucking from far away places like Idaho, Spokane or Montana. 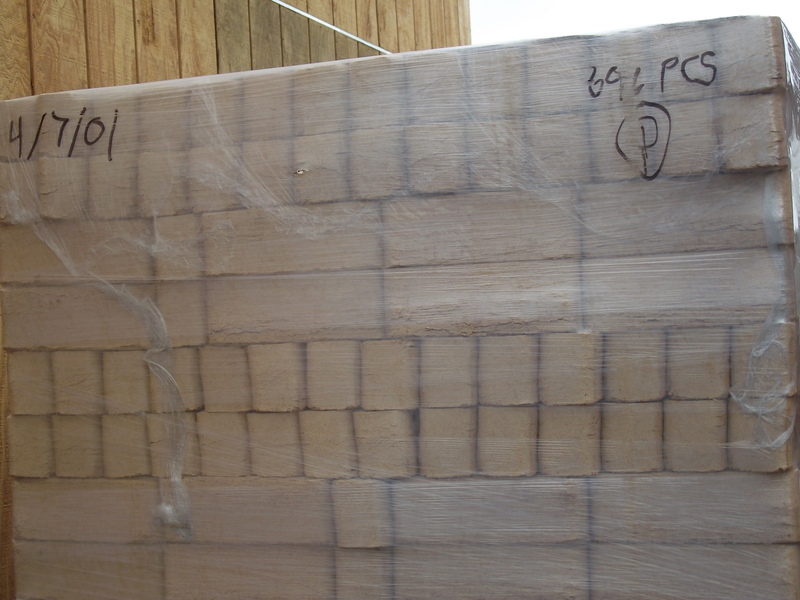 The Tacoma Firelogs are a combination of Hemlock, Douglas fir, Sitka Spruce, Alder and Cedar with the heaviest proportion to the first 2 types of wood, pound for pound they will be comparable to any pressed sawdust log with the exception that some logs have wax or binding agents to hold them together which may add to the BTU’s available but also to contamination in the flue and burning device. I don’t think there is much difference between softwoods and hardwoods when you look at them pound for pound, hardwoods do burn hotter and longer but that is more a function of their density than any other characteristics. Some comparisons of wood weight per cubic foot, seasoned. 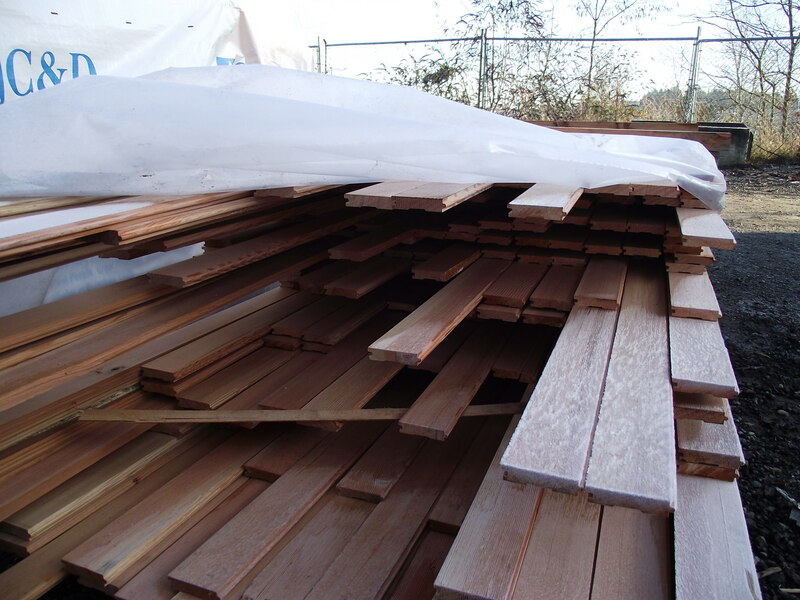 The softwoods average about 28.25#, while the hardwoods are more like 42.5# so it makes sense that you will get 50% more energy out of hardwood raw log, but when you compress softwoods to densities exceeding that of hardwood it also makes sense that you will get more heat per cubic inch from a compressed log. So with all that said sawdust is pretty much sawdust and the more Important detail is what does it cost per pound and how convenient is it to store and use. Tacoma Firelogs are the answer! 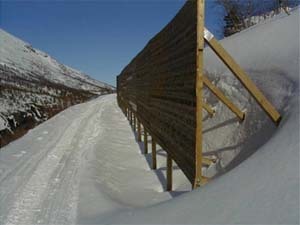 First some background on the fence boards we carry. 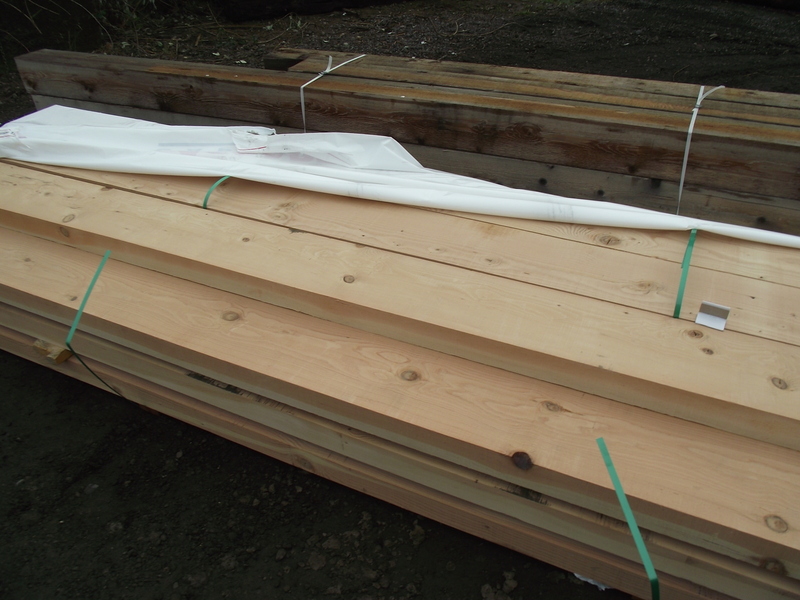 We sell and stock 95% or more of our cedar fencing from Reichert shake and fence in Toledo Washington. 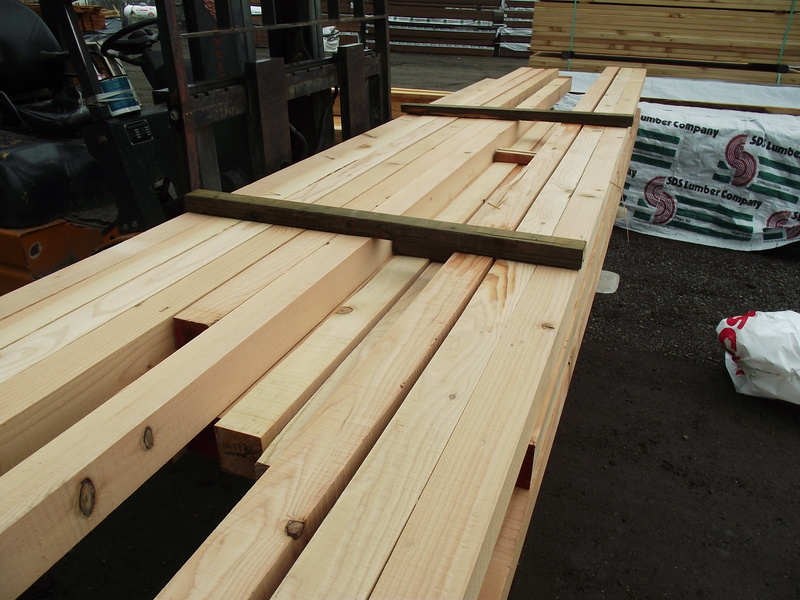 They are regarded as the finest dedicated cedar fence mill in the Northwest due to the quality and consistency of the boards they cut. Color is uniform as well as sizing and grading, a #1 board purchased today will be just like one from a year ago or a year from now, and that is the case for all of the other sizes and grades we carry in stock. 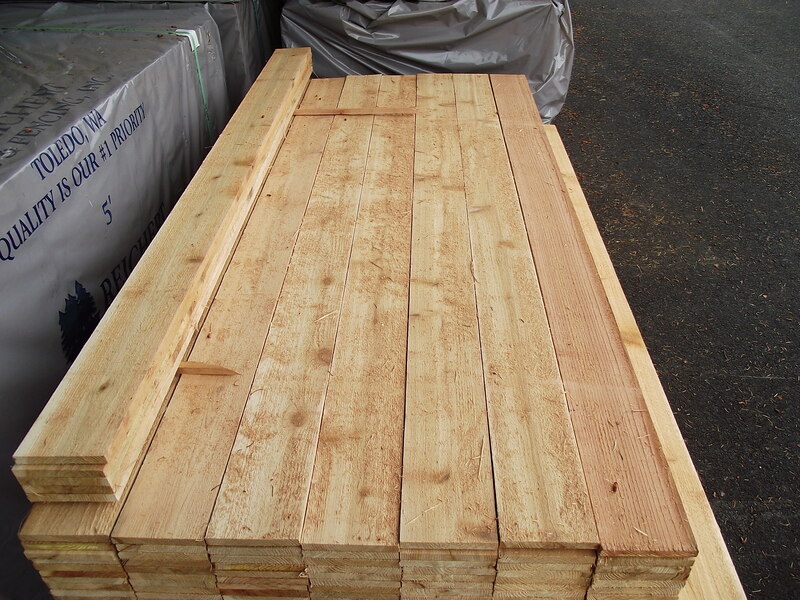 Most if not all of the boards we carry are full width which is a little different to some people. 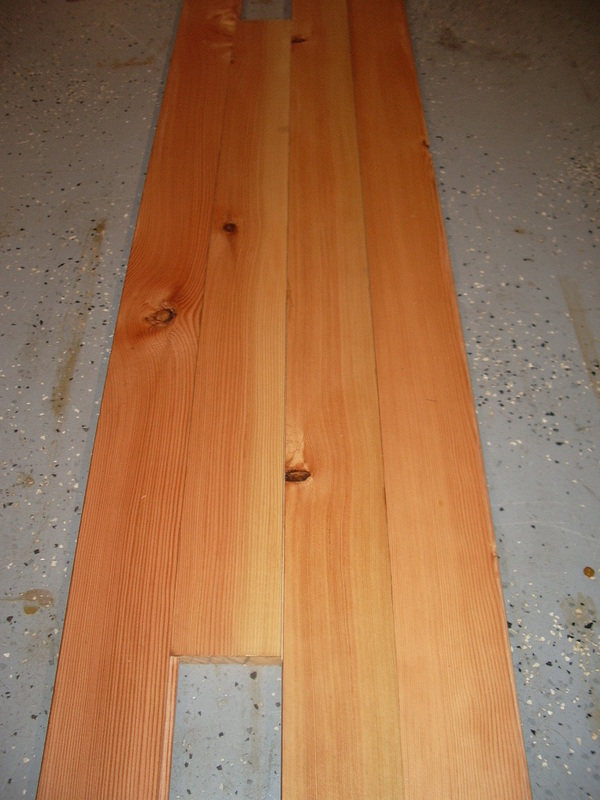 So our 6″ boards measure 6″s, 5″ measure 5″‘s and so on for 4″ and 3″ widths. 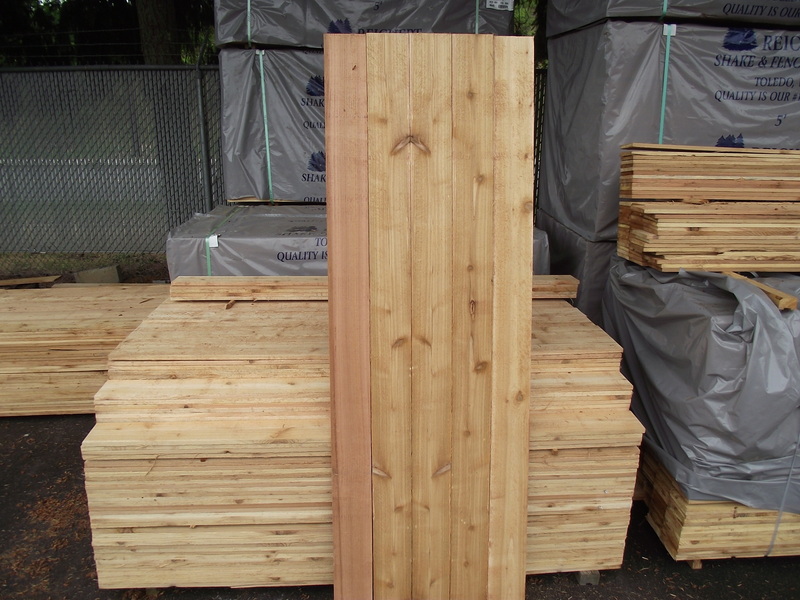 All of the Riechert boards are consistently 5/8″ thick unlike other fencing that says it is 5/8″ but measure as little as 1/2″. We have been waiting patiently for Google Earth to update our location so that we can compare the before and after of last spring’s expansion. It started on Monday, cold, but lots of sun and no wind, a good day for hanging Christmas lights and yard work. Then came Tuesday, colder and steady wind all day long, the wind chill here had to be less than 10 degrees. 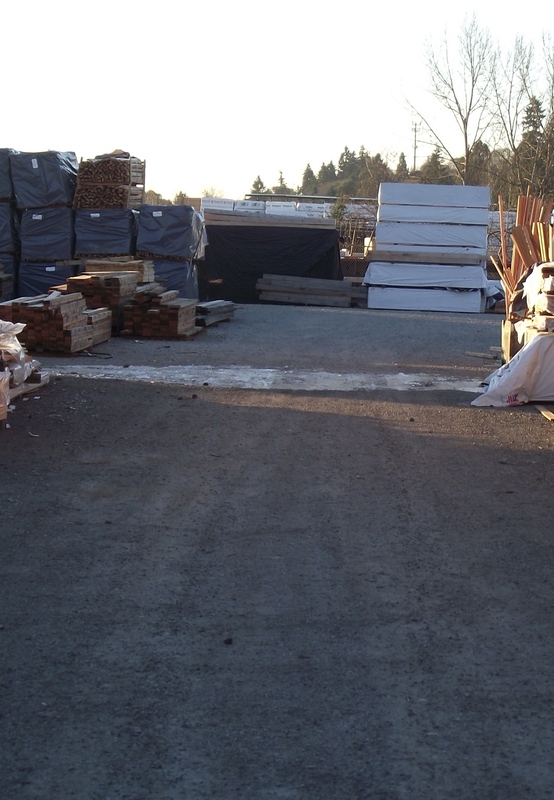 The wind let up on Wednesday but the air and ground were colder yet, sealing the surface of our Alaska asphalt. Then each successive day it has grown colder yet. 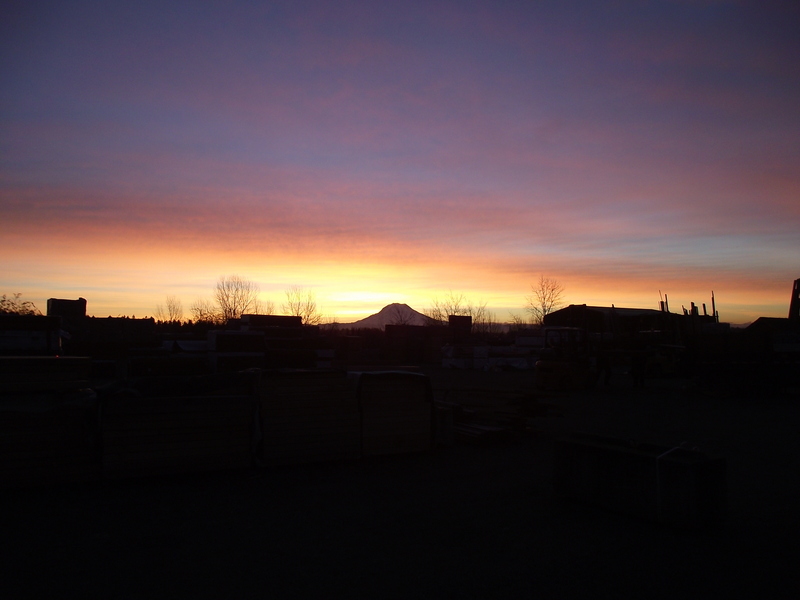 Now it is Saturday morning, another bright sunny day and perfect conditions to come to Mill Outlet Lumber and stock up on clean burning Tacoma Firelogs at $5.50 for a 24# box of 8 or $225.00 for a 2000# pallet of 696. 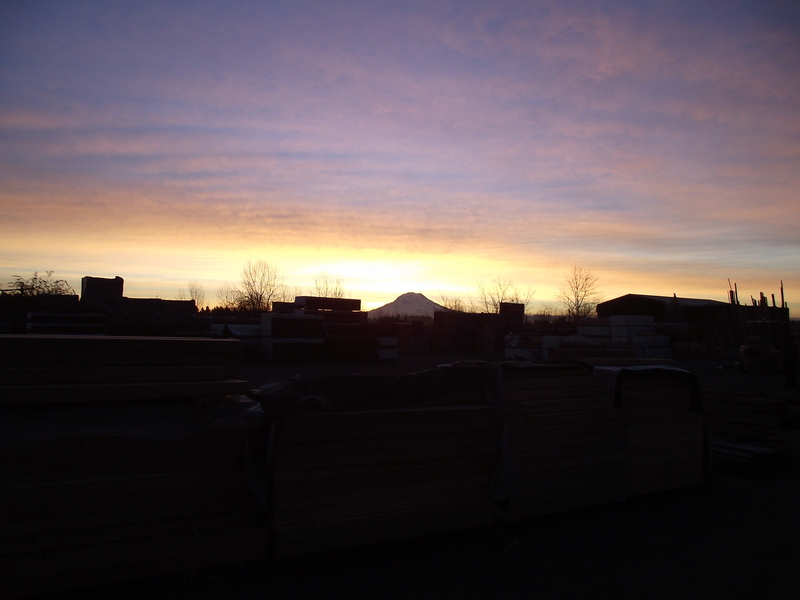 It has been cold all week and will continue a few more days, but it has also been sunny and great weather for building fences. That fact has been proven by the “Brisk” business we have done all week selling fence boards and supplies.Maybe this is why? The cold has not been the worst part, it is actually the wind, 24 mile per hour wind, which we have seen this week, can make 30 degrees feel like zero. So a well built and designed fence can actually raise the apparent temperature by as much as 30 degrees. Wouldn’t 60 degrees feel good right now? It doesn’t actually work that way, but it sure feels better to get out of the wind. 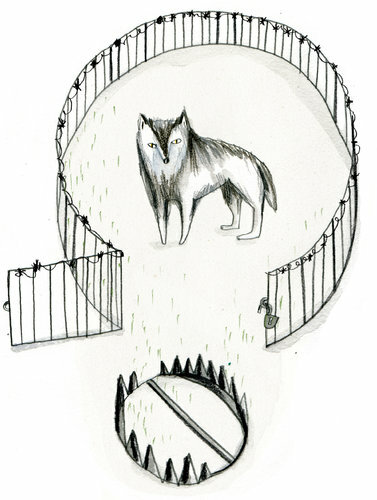 A well designed fence deserves a well designed gate and while there are too many styles to list, this is by far my favorite.